Business for iron ore miners on the Mesabi Range improved throughout the 1980s. Cleveland-Cliffs invested $30 million in operational improvements at the Tilden mine (above) in 1988-1989. The 1980s ended on a completely different note from which it started. Mintues after Ronald Reagan, a Hollywood personality, was sworn in as the 40th U.S. president, Iran released the American hostages. Working with Soviet leader Mikhail Gorbachev, he managed to end the Cold War and the Berlin Wall fell in 1989. During his tenure, conservative economic policies became more popular and began to sweep the world. In the 1980s, capital spending began again in earnest. The oil shocks of the 1970s had slowed economic growth, which reduced capital spending. By the mid-1980s, the industrialized world began to invest in modernization programs. Similarly, governments realized that infrastructure such as bridges and roads were in disrepair. 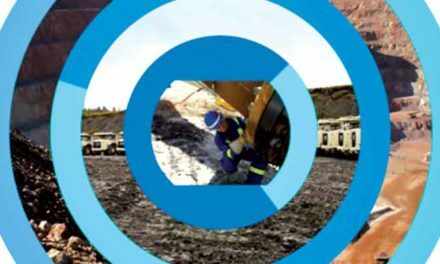 These investment programs increased demand for natural resources and spurred activity for the mining sector. Then, a U.S. stock market crash in 1987 caught many investors by surprise. In the United States, capital spending still grew 10.6% despite the stock market crash. A relatively low exchange rate kept exports strong, while the domestic economy remained healthy. Third World debt, however, remained a problem as did the U.S. budget deficit. The mining industry saw demand build to a crescendo in the late 1970s and then fall off at the beginning of the 1980s. Throughout most of the decade, when not deviating wildly with market uncertainty, gold was locked in a bear market. Because the United States had lower ore grades, higher wage costs and more severe environmental restrictions, many thought U.S. mining companies could no longer compete. 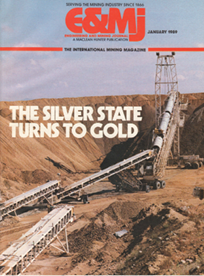 The cover story of the December 17, 1984, edition of McGraw-Hill’s Business Week declared the U.S. mining industry dead. 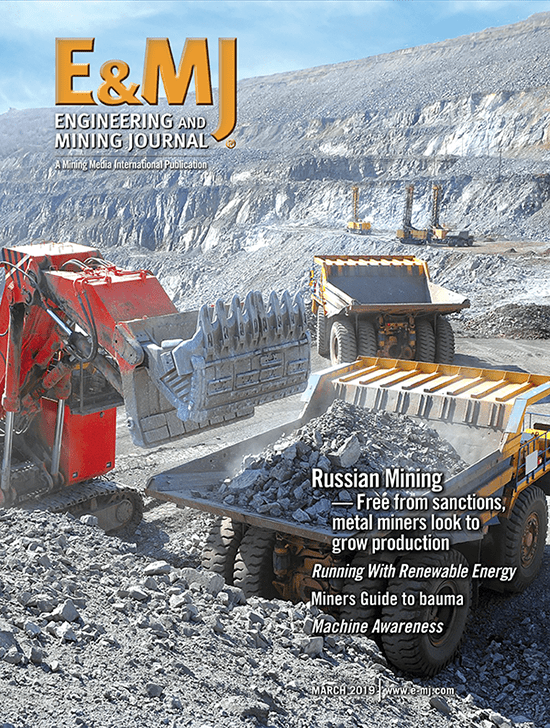 McGraw-Hill at the time also published Engineering & Mining Journal (E&MJ). The article, The Death of Mining in America, noted that the 1983-1984 recovery largely bypassed U.S. producers of copper, iron ore, molybdenum, and lead and zinc. It documented how the U.S. mining industry had shrunk from an $8.9 billion industry to less than $5.9 billion in four years. The largest copper producers (Kennecott, Asarco, and Phelps Dodge) were all operating in the red. Oil companies that had rushed into minerals in the 1970s were now abandoning it. Iron ore miners on the Mesabi Range were idling capacity and laying off workers. In a few short years, American miners proved them wrong. As part of the continuing celebration of the 150 years of E&MJ, we peer into the 1988 and 1989 archives to gain perspective on what transpired during the 1980s. A sharp rise in copper prices in 1987 worried industry observers who saw similar price spikes in 1973 and in 1979. Both of those price run-ups were followed by even steeper declines. When 1988 began with copper prices at about $1.45/lb on the London Metal Exchange (LME), fears of a precipitous drop were widespread. A decline did occur, but the copper market held well above the 1987 average of $0.80/lb. Toward the end of the year, the market rose sharply again. On a long-term plot of copper prices, however, the late-1980s appear as a plateau rather than a spike—a tempest in a teapot. U.S. copper miners turn the tables (September 1988). U.S. copper mine output in 1988 was estimated at 1.6 million short tons (st) compared with 1.58 million st in Chile. The U.S. had recaptured, at least temporarily, the distinction of being the world’s premier copper-mining country. It lost that distinction to Chile in 1982. A major factor in the increased U.S. copper production was the first full year of operation of the “modernized” Bingham Canyon pit. BP Minerals America had completed $400 million in improvements. Not long afterward, British Petroleum decided to sell BP Minerals to Rio Tinto-Zinc Corp. (RTZ, pronounced “R-T-zed” at the time) in the United Kingdom. The transaction made RTZ (now Rio Tinto) the world’s largest privately held copper company, rivaling Corporación Nacional del Cobre (Codelco) in Chile. RTZ added Bingham Canyon to a group of assets that included an interest in Olympic Dam in Australia; Bougainville in Papua New Guinea; Palabora in South Africa; Highland Valley in Canada; Neves Corvo in Portugal; Rio Tinto in Spain; and the proposed Escondida project in Chile. Other major developments occurred in U.S. copper industry during this period as well. Cyprus Minerals purchased the Inspiration operations in Arizona. Magma Copper completed a new smelter at San Manuel. 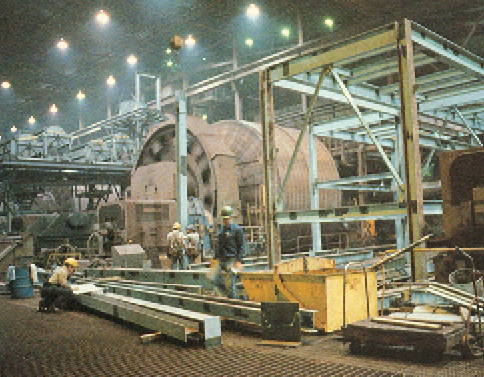 Asarco expended the Mission mine in Arizona, and Phelps Dodge continued to build on its electrowinning capacity. Together, these five enterprises (Phelps Dodge, Asarco, Magma, Cyprus and RTZ) added an aggregate capacity to mine more than 1.5 million st/y of copper, and they had managed to substantially lower production costs compared to the beginning of the decade. Nevertheless, Chile again overtook the U.S. as the world’s premier copper miner. “Assuring that this will happen is the completion in 1988 of arrangements for financing and marketing of the Escondida project,” E&MJ reported. “This huge new mine will require an investment of $1.1 billion to yield about 320,000 metric tons per year (mt/y) copper in concentrates, beginning perhaps as early as mid-1991.” Increased production was also expected from Codelco, which in the late 1980s was failing to meet its production targets because of grade problems at Chuquicamata and El Salvador, difficulties with a new smelting technique at Chuquicamata, and operating complications arising from rockbursts at El Teniente. 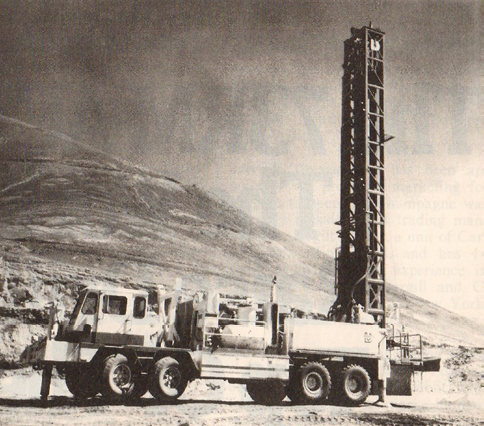 By the end of the 1980s, Codelco was trying to grow copper production from a little more than 1 million mt to 1.24 million mt. Halfway around the world in the Indonesian territory of Irian Jaya, the Ertsberg mine, operated by Freeport McMoRan, expanded production in the late 1980s. 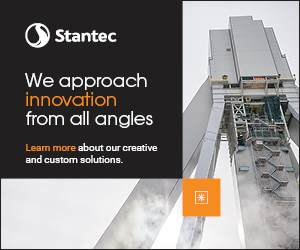 It executed an expansion project to increase capacity 25% to 150,000 mt/y of copper in concentrates by 1990. Two large copper mines came online in 1988: the Neves Corvo mine (115,000 mt/y) in Portugal, owned 51% by the Portuguese government and 49% by RTZ; and Olympic Dam (45,000 mt/y) in South Australia, jointly owned by Western Mining and RTZ. Olympic Dam was also expected to produce 1,500 mt/y of uranium yellowcake and 25,000 oz/y of gold. The increase in mine production and a decline in consumption put the supply-demand fundamentals back into approximate balance. As visible stocks remained small, the price of copper was strong. The average annual price for copper in 1988 was $1.18/lb—the highest on record. However, if it were adjusted for inflation, it fell in line with prices prevailing during the l950s and 1960s. At the end of the decade, copper miners were posting greater profits since the beginning of the decade. The tide changed in the 1990s. The first production blasthole is drilled at the massive Escondida mine in Chile, which would propel Chile to the top copper producer status that it still maintains today. The improving steel market also had a positive impact on molybdenum. In contrast to copper-related supply, primary output was estimated to have increased in 1988 by almost 15 million lb, or 33% over 1987 levels. Poor demand in 1987 led to a cutback in primary producers’ operations in the second and third quarters. Production then expanded over the course of the first half of 1988 as the market gained strength. Climax Molybdenum Co.’s Henderson mine, which had begun producing at 1.5 million lb/month, actually produced 30 million lb in 1988. The Cyprus Thompson Creek Mining Co. operation, which began the year at a 3.5-million-lb/y production rate, raised output substantially and was estimated to have produced more than 10 million lb. 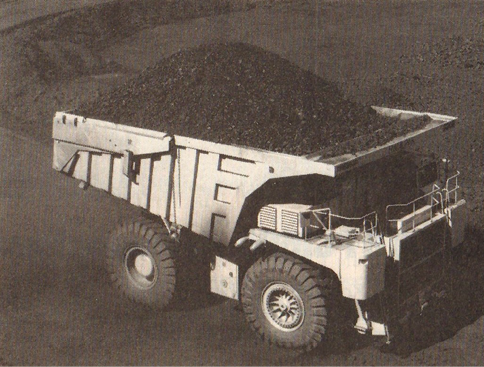 Dresser Haulpak (now Komatsu) introduced the 240-st 830E haul truck at the Cordero mine in Gillette, Wyoming. With a diesel-electric drive system, it is the largest truck at the time. Demand for stainless steel in the U.S. and abroad was strong and building momentum. Total Western World stainless-steel production in 1988 hit another record at 10.7 million mt, representing a 16.3% increase year-over-year (yoy). During the same period, U.S. stainless-steel ingot production surpassed the 1979-level peak, reaching 2 million mt. This was 8.6% higher than in 1987. U.S. mill shipments of stainless products in 1989 increased by more than 13%. 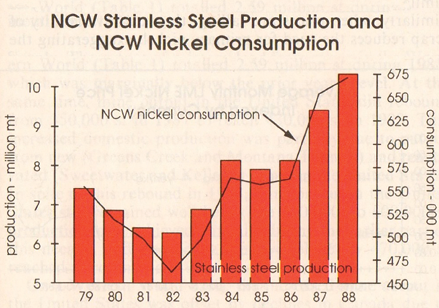 Looking specifically at 1988, Western World nickel consumption was approximately 670,000 mt or 2.3% higher than in 1987. Nickel demand also grew in nontraditional markets such as Taiwan, Korea, South Africa, Mexico and Brazil. and much of the growth originated from Inco and Falconbridge. 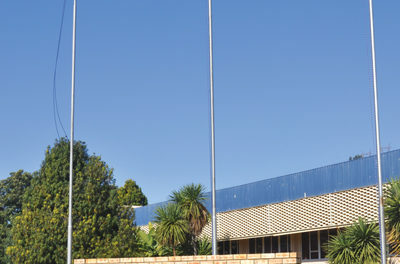 The Rustenburg and Impala operations in Africa increased their combined nickel production as a result of higher platinum production. While the nickel miners struggled to keep pace with demand in the late 1980s, the most notable problem was delivery. In December 1987, E&MJ reported a dispute between the Dominican Republic and Falconbridge Dominicana (Falcondo), which resulted in a virtual embargo on shipments from the island during the first half of 1988. The absence of Falcondo, which supplied about 5% of Western World demand for primary nickel, had a negtive impact on the market. There were other production shortfalls at Outokumpu in Finland, at PT lnco in Indonesia, at Western Mining in Australia, at Tocantins and Codemin in Brazil, and at Cerro Matoso in Colombia. Making up the difference between Western World production and Western World deliveries were purchases from “Socialist Bloc origin,” i.e., exports from the USSR and Cuba. It should also be noted that during the late 1980s, China began to transition from a nickel exporter to a net nickel importer. The 1980s opened with the Hunt brothers attempting to corner the silver market. The move drove the price of silver from roughly $5/oz to $50/oz. When the Hunt bothers missed a margin call on March 27, 1980, aptly dubbed “Silver Thursday,” the price dropped to $11/oz. They effectively created a silver bubble that bursts and rocked financial markets. With the exception of 1980, silver traded on average between $5/oz and $7/oz. Photography was the largest use for silver at the time, accounting for about 45% of the total. This use was expected to grow at a rate of 3% to 4% annually. The electrical and electronics industries continued to be the second largest outlet, using about one-third the amount consumed by the photographic industry. Coinage continued to be an area of considerable demand, reaching about 30 million oz/y. The U.S. Eagle coins gained popularity. Following the October 1987 stock market meltdown, predictions for 1988 were for positive economic growth but at a lower rate than in 1987. Economic growth, however, moved up strongly, and zinc consumption advanced with it (5%). Western World zinc in 1988 registered a metal deficit estimated at 65,000 mt, significant when one realizes that 1988 opened with below-normal zinc metal inventories and closed 1988 with inventories at only three-fourths of their normal level. In 1988, Western World zinc consumption surged by 5.2% (263,000 mt) to a new record of 5.3 million mt. Since 1980, growth had been 2.4%/y, and the 1980-1988 consumption increase totaled 820,000 mt. In 1988, Western World zinc mine production declined 3.2% to 5.18 million mt (metal content), a fall of 169,000 mt of zinc content. Peru’s economy was deteriorating, with hyperinflation at 1,722% in 1988, and the mines were unable to secure supplies. Labor issues ensued, further complicating the situation. At the time, Peru was the Western World’s third largest mine producer (after Canada and Australia), and it was posting a 20% decline (118,000 mt). Mines could not keep pace with zinc demand. Lead consumption by the Western World grew to record levels by the end of the 1980s despite the market erosion fears associated with its diminished use as a gasoline additive. “The decline of that once important market has been fully offset by dramatic growth in the demand for lead by the battery industry, which now accounts for nearly 60% of all lead consumed in the Western World,” said Alan S. Kafka, manager, base metal sales, Asarco Inc.
Nevada becomes a leading gold producer (January 1989). This trend was particularly evident in the U.S., E&MJ reported, where the battery industry’s consumption of lead reached a record 1.04 million st in 1988 and accounted for 78% of total U.S. consumption. In comparison, the battery industry only consumed 775,000 st of lead in 1982, or 65% of all U.S. domestic consumption. Constructive fundamentals in the lead market worldwide, including demand growth and low stocks, kept prices firm and near record levels in the late 1980s. 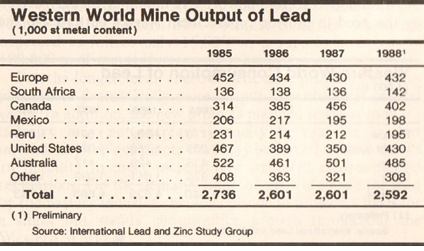 E&MJ reported that the output of primary lead from mines in the Western World totaled 2.59 million st (1988). Europe, Canada, the U.S. and Australia were all producing in the range of 400,000 st to 450,000 st. Mine output in the U.S. dipped in the mid-1980s and had grown to 430,000 st from 350,000 st in 1987. Two new mines began production, Greens Creek in Alaska and the Montana Tunnels. Sweetwater and Kellogg mines were reactivated. Even with this rebound in activity, U.S. mine output still lagged the 500,000- to 600,000-st annual production level achieved during the earlier part of the decade. The previously mentioned problems in Peru and the Pine Point closure in Canada also affected lead output. Worldwide consumption of lead consistently grew from 4.4 million st in 1985 to 4.7 million st in 1988, which was a new record. The difference between consumption and mine production was offset by the recycling of lead-acid batteries. In the 1980s, South Africa was still the dominant gold producer, but other regions began to post significant gains, especially Nevada. Gold started the decade with a high level of price volatility. All five major producers—South Africa, the U.S., Canada, Australia and Brazil—recorded increases in mine production. China’s immense gold production continued unnoticed by E&MJ. In January 1980, gold reached a high of $850/oz in reaction to the uncertainty in the world. By midyear, it dropped below $500/oz before pushing back to $700/oz. The price of gold steadily declined to less than $300/oz by mid-1982. It rose again to more than $500/oz in early 1983, and then fell to less than $300/oz in January 1985. The yellow metal rose again to $500/oz, and then steadily dropped to about $400/oz by the end of the decade. Ore grades continued to decrease in South Africa. As an example, gold production in 1988 increased by some 14 mt to 619 mt from 605 mt in 1987, an increase of a little more than 2%. To maintain that level, South Africa gold miners milled a record 112.7 million mt of ore, 4.7% more than the previous year. In addition to declining grades, South Africa was also battling inflation, which drove mining costs higher. Gold production in the United States continued to surge. In 1988, the U.S. produced 193 mt of gold, a 25% increase over 1987. Nearly 50% of U.S. gold then came from Nevada, where heap leaching enabled the processing of previously uneconomic deposits with average grades of less than 1 g/mt. New technologies also helped U.S. gold miners control costs. They extracted gold at a cost of less than $220/oz, which made them the lowest-cost operators in the world. A total of 45 new mines were scheduled to come online in the late-1980s—that output would expand to more than 300 mt/y by the mid-1990s.